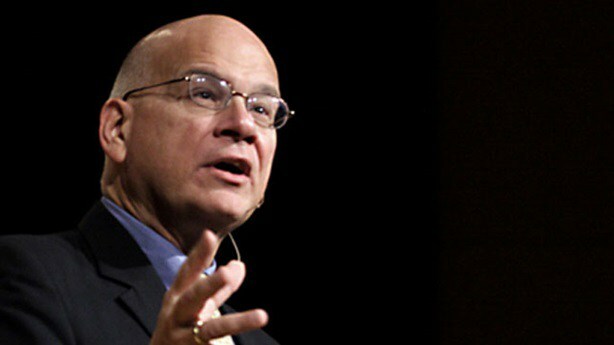 Tim Keller, who openly subscribes to the Marxist Frankfurt School and founder of the Gospel Coalition, met with approximately 50 other globalist or leftist leaders today, discussing how they can turn American evangelicalism to the political left. Seeing the rising Reformed Resurgence and its massive influence in evangelicalism – of which people like myself are debtors (I am a 5-point Calvinist and my church confession is the 1689 London Baptist Confession) – globalist strategical thinkers saw a unique opportunity to capitalize (pun intended) on co-opting and commandeering a movement that, if they could turn it political, might turn the tide of America toward their progressive plans. It is no secret that evangelical America is the last remaining demographic standing between the preservation of American culture and globalist progressivism. If that demographic could be changed or swayed, then the victory of the American left – and by vicarious accomplishment, international globalism – would all be assured. The margins between the left and right are so tight, any subtle shift in traditionally conservative American thought would result in the largest paradigm shift of political power in American history. It is no mistake, as Pulpit & Pen has thoroughly covered, evangelical “thought leaders” among the pseudo-Reformed camp known as “New Calvinism” have been the financial recipients of millions of dollars from globalist and Marxist financiers, George Soros and James Riady. With Soros funding Russell Moore and Matt Chandler’s Evangelical Immigration Table (EIT) – an organization actually belonging to Soros himself – and with James Riady funding Westminster Philadelphia, Reformed Theological Seminary (RTS) and Ligon Duncan, and other religious institutions like Biola University and Ouachita Baptist University, it should be apparent that some kind of quid pro quo exists. Riady’s influence in particular is far and wide in American religious institutions, and particular among New Calvinists, and the gobs of cash he’s giving them is reportedly surpassing unheard of levels. And in spite of Riady being known primarily as the head of corruption during the Clinton Campaign Finance Scandal, in spite of him being kicked out of the country for trying to affect American politics with piles of international cash, and in spite of Riady still funding the Clinton Global Initiative and the Bill, Hillary and Chelsea Clinton Foundation, leaders like Ligon Duncan still readily receive his cash, the Gospel Coalition promotes his Indonesian school on the cyber-pages of their blog, and his wife and children still speak at New Calvinist institutions in the place of their father, who cannot return to the country. Make no mistake about it, the Evangelical Intelligentsia – which we have defined here – are well-funded by foreign political interests. In the name of “repentance,” these evangelical leaders are promoting purely Marxist ideological inventions like Critical Race Theory, White Guilt, Intersectionality, and Cultural Marxism during 2018’s White Guilt and Gospel-Redefinition Apology Tour that took place last week at Together for the Gospel and the week before that, the MLK50 event hosted by The Gospel Coalition and the ERLC. It’s not conspiracy theory; it’s conspiracy facts. Consult the hyper-links provided and see the primary sources with your own eyes. The fact is that these evangelical leaders who all suddenly, mysteriously, and with suspiciously coordinated timing who came to “repentance” on the issue of race (proposing the social gospel, which they have renamed “social justice”) have taken money from Soros and Riady. It is up to your gullible, incredibly naive judgment if you choose to determine that Soros and Riady are simultaneously funding a globalist-Marxist strategy worldwide while funding a certain stream of American religious thought out of the contriteness of their heart. In other words, conservatives need not apply. To be a “thought leader” to the Evangelical Intelligentsia, you must be a globalist and a political progressive. Any less is perceived as being sub-intellectual. While Tim Keller and the elites at Wheaton are advertising their event as a way to “save evangelicalism” from politics, they are betraying the public by the omission of the fact that they are all – all of them, as the list we’ve cited above demonstrates – fully devoted to a hostile takeover of American politics. This is not an evangelical event at Wheaton; this is a political event. Their goal is not to save evangelicalism, but to form a brain trust by which they steer evangelicalism to the left. The lie is a sinister one, and implies they’re politically disinterested. Keller and company are not politically disinterested and they are not politically disinvested. And while Graham and Jeffress are certainly “political,” they are no less political than the globalist and Marxist political activists who have gathered to discuss how to affect political change in evangelicalism.